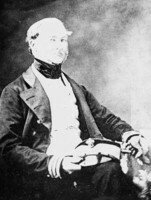 BARRIE, Sir ROBERT, naval officer; b. 5 May 1774 in St Augustine (Fla), only surviving child of Dr Robert Barrie of Sanquhar, Scotland, a surgeon’s mate in the 31st Foot, and Dorothea (Dolly) Gardner; m. 24 Oct. 1816 Julia Wharton Ingilby, daughter of Sir John Ingilby, in Warrington (Cheshire), England, and they had one son and four daughters; d. 7 June 1841 at his seat in Swarthdale, England. Robert Barrie’s father died in 1775, and his mother left North America and returned to her relatives in Preston, Lancashire, England, where in 1784 she married George Clayton, a prosperous textile manufacturer. Young Robert attended a small school at Neston, Cheshire, and later a school at Dedham. On 5 June 1788 he entered the Royal Navy under the auspices of his uncle Captain Alan Gardner. 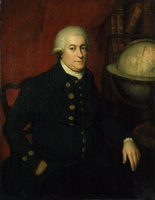 In December 1790 Gardner, now at the Admiralty and concerned with the preparations for the voyage of Captain George Vancouver* to the Pacific, placed Barrie as a midshipman in the Discovery. Another young midshipman was Thomas Pitt, later Baron Camelford, who became Barrie’s closest friend Vancouver discharged Pitt at Hawaii in 1794, but he thought well of Barrie. The latter was in charge for a time of one of the survey parties on the northern coast of what is now British Columbia. When the expedition returned to England in October 1795 he was immediately promoted lieutenant. Barrie served in the West Indies under a former Discovery shipmate, Thomas Manby, in 1800, and was promoted commander on 23 Oct. 1801. Seven months later he was advanced to captain, while in command of the sloop Calypso. From June 1806 Barrie commanded the frigate Pomone, at first off the French coast and then in the Mediterranean. In June 1809 he captured the adjutant general of France, Chevalier Charles de Boissi, and in October 1810 he took Lucien Bonaparte, brother of Napoleon, who was attempting to escape to America from Italy. Barrie’s most significant exploit in Pomone came on 1 May 1811. With two other ships under his command he entered the Golfe de Sagone, Corsica, and sank two warships and an armed merchantman as well as destroying the fortifications which protected them. Later in the year, Barrie was ordered to bring to England the British ambassador to Persia. The Pomone was sunk nearing Portsmouth but Barrie was acquitted of misconduct. Following the peace in 1815, Barrie was placed on half pay; he then married, and went to live in France. In January 1819, after months of negotiations, he accepted the post of commissioner of the dockyard at Kingston, Upper Canada, an appointment which made him senior naval officer in the Canadas. The command, which Barrie succeeded in having detached from that of Halifax, included the inland waterways of the Canadas and the port of Quebec. The dockyard at Kingston was located on Point Frederick, the present site of the Royal Military College of Canada, and there the Barries had a house. During 1819 and 1820 Barrie built a big three-storey stone warehouse to hold the equipment of the large fleet put into reserve by the Rush–Bagot agreement of 1817. This building survives as a dormitory for cadets, and is known as the Stone Frigate. Barrie’s task as commissioner, in the face of gradual reductions in the establishment, was to have the ships under his command and their gear preserved from deterioration. He was to ensure that selected vessels could be commissioned on short notice if war with the United States was renewed. The plans for manning these ships were modified as more reserve officers and men were sent home, and after the 1830 reduction the intention was to use only former naval personnel who had settled in the Canadas. As senior naval officer, Barrie was concerned with various matters connected with maritime affairs, such as the international boundary commission, the hydrographic survey of the Great Lakes and St Lawrence River system [see Henry Wolsey Bayfield*], the building of the Rideau and Welland canals [see John By; William Hamilton Merritt*], and relations with the United States. He was very friendly with Governor Lord Dalhousie [Ramsay] and even more so with Governor Lord Aylmer [Whitworth-Aylmer], whom he had known in Jamaica. At York (Toronto) the Barries became close friends with Sir Peregrine Maitland* and Lady Sarah Maitland, and spent long periods at the Maitlands’ summer retreat near Niagara Falls. This last relationship led Barrie to sound out Sir George Cockburn at the Admiralty about the possibility of a seat on the executive councils of the Canadas, but Cockburn’s response was unpromising. At the end of 1825 Barrie was called to England for consultations with the Admiralty on the naval establishments and defences of the Canadas. Before his return to Kingston in 1827 he was promoted commodore first class. In June 1834 the inland naval establishment was abolished, and Barrie returned to England for good. 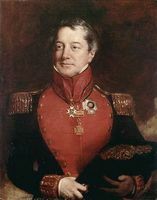 King William IV immediately appointed him kch and knighted him. 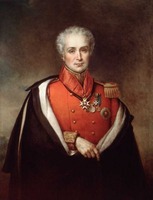 He was promoted rear-admiral in 1837, and in 1840 was created kcb. A portrait of Sir Robert Barrie was painted in 1967 by Cecil Jameson for the Royal Military College of Canada (Kingston, Ont. ), from a miniature owned by Rodney Barrie of London. The painting is reproduced on the cover of Historic Kingston, no.23 (1975). College of Arms (London), Barrie genealogy. Duke Univ. Library (Durham, N.C.), ms Dept., Sir Robert Barrie papers. Lancashire Record Office (Preston, Eng. ), DDX 510/1–38 (Dolly [Gardner Barrie] Clayton, diaries, 1777, 1783, 1798, 1801–33 except 1812). NLS, Dept. of mss, ms 2333: ff.96–110; ms 2335: ff.72–75. NMM, BIE/1–4. PAC, MG 24, F66; RG 8, III, 24–51, 72. PRO, ADM 1/417, 1/828, 1/5355, 1/5419; CO 158/16. Royal Military College of Canada, Special Coll. Division, Acc. 1032748 (transcripts of Barrie letters with biog. and notes by T. L. Brock, typescript, Montreal, 1967); Acc. 1136880 (Barrie letters). SRO, GD45/3; GD51/2/603/1–5; 51/2/622. William L. Clements Library, Univ. of Mich. (Ann Arbor), Robert Barrie papers. G.B., ADM, Navy list, 20 March 1838: 4–5. T. L. Brock, “H.M. Dock Yard, Kingston under Commissioner Robert Barrie, 1819–1834” and “Commodore Robert Barrie and his family in Kingston, 1819–1834,” Historic Kingston, no.16 (1968): 3–22, and no.23: 1–18. J. W. Spurr, “The Royal Navy’s presence in Kingston, part i: 1813–1836,” Historic Kingston, no.25 (1977): 63–77. 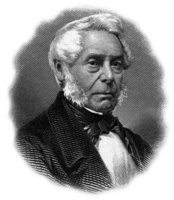 Thomas L. Brock, “BARRIE, Sir ROBERT,” in Dictionary of Canadian Biography, vol. 7, University of Toronto/Université Laval, 2003–, accessed April 25, 2019, http://www.biographi.ca/en/bio/barrie_robert_7E.html.